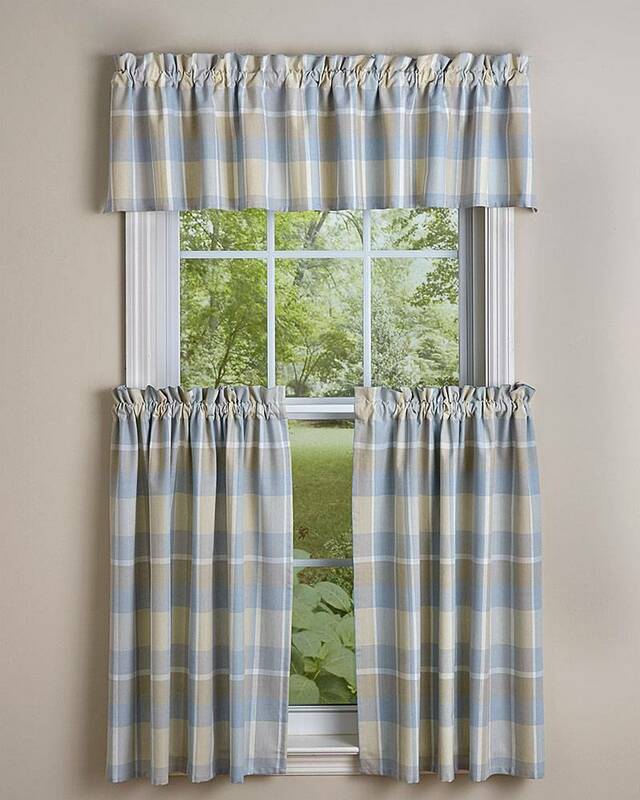 Frame your windows with this lovely Serena Plaid Valance. The color palette is soft and understated in colors of grey, taupe, blue, and ivory. Perfect for your modern country home.